Residential & Commercial Drip Headworks | R.C. Worst & Co. 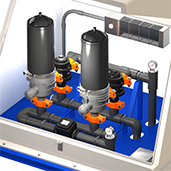 Provides an easy to install and maintain system for accurate and problem free effluent distribution. Extra benefits include freeze protection and metered output. Designed with PVC materials for strength and longevity. 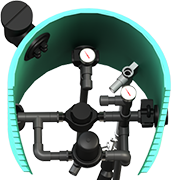 Wastewater drip system headworks provides filtering for large on-site drip systems. Designed to be easy to install and maintain. This system provides freeze protection for environments where severe cold weather can be an issue. A larger scale version of our drip distribution system designed for higher volume.